In a nightclub what all you expect? Silom in Bangkok is one such place offers you an amazing domain of pubs and clubs to enjoy the nightlife if you really want to explore the beautiful nightlife and the club arena. Silom enwraps one of the best night out clubs and pubs that are most crowded. 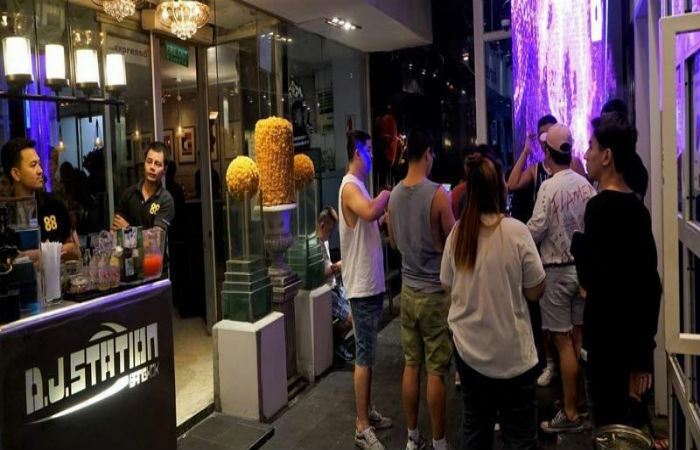 When the word nightlife hits your mind about Silom’s best nightclubs and pubs, many people think of the go-go bars and ping pong shows of Patpong’s red light area, mysterious looking karaoke dens, and some suspicious looking massage houses. Soi 2 and 4 is the center point for Bangkok’s gay community. Also, the city is home to some must-visit pubs, clubs, and some stunning rooftop bars sprinkled around. For people more into the club scene, scroll down to see some of the top bars and clubs in Silom. A kick-off starts with one of the most popular nightclubs in Silom, DJ station. it is very large and spread out on many floors. 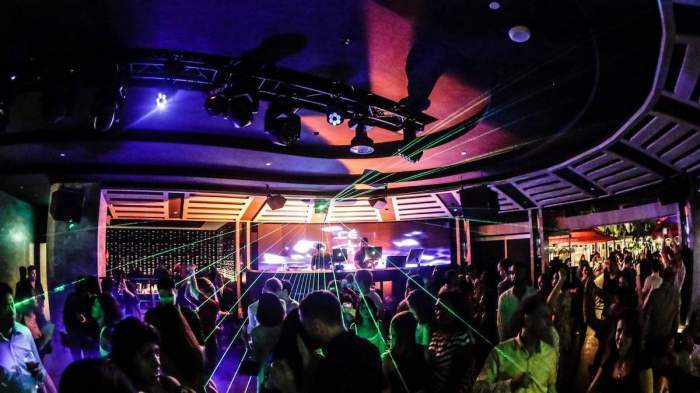 DJ Station is a fun destination which offers you different types of rooms and bars and you are driven to get the apt one you were looking for. It’s a win-win crowd everywhere. If you are going on weekends expect a thriving and rich crowd, people are fun-crazy and crave for more. In these parts of the city, the music is amazing and the type is a techno one with house anthems flaunting a lot of bass (a voice or sound in low pitch frequency). Going on further, there are the gay clubs and the decadent musical performance shows, transgender guests, and drag queens. It’s not necessary that you should be an LGBTQ member to experience that fun, glamour but be sure you will find many who are. One more for you! If you’re more kind of an intimate person and have a good sense of humor, then hit the vibes of packed house call Disco Disco. It’s in the same building where the DJ station is. The madness factor is that this is between a small club and a lively gay bar, where the spirit of the disco, Disco era charm is truly alive and kicking here. The captivating part of the disco is the vibrant colors and flashing lights. Sip a cocktail or bust out your best moves, enjoy the hardest! In the accompanying list of the amazing Silom clubs adorned with high-tech sound system twining with stunning lights. Ku De Ta was the initial name of Ce La Vie, that has been recently changed. The place is a posh bit of spectacular surrounded by a beautiful crowd of Silom and it’s much beyond it. Just like a skyscraper, it’s high up touching the 39th floor of the Sathorn Square Tower. And of course, it’s the highest nightclub in Bangkok offering one of the most spectacular views across the city. The place is not merely a club but a theatre also and can accommodate more than 400 guests with its abundance and luxurious ambiance. The dance floor is on its shaky and uncontrolled state. You can flaunt your dance moves. This is the apt place for you if you’re looking for some best DJ gigs. Also, be sure to dress for the night here. It’s one of the smartest and the shiniest clubs around the and has a strict dress code. The themes of the party garner the attention of socialites and celebrities too. G Bangkok was formerly known as G.O.D. Club in the abbreviated form called as Guys on Display. If you wish for a midnight stroll? Then have a full stop at this station as it’s open until midnight. Surely, it’s the most colorful and energetic gay club of Silom. The mind-boggling majority is of male, with bare torsos, bulging muscles, stylish outfits, and slick hairstyles the norm. The three floors of its are filled with pumping, rocking, driving, and thrilling music and the atmosphere is loaded with fun and enjoyment. It accounts to be one of Silom’s best nightclubs and pubs. An ultimate place for alcoholics is the CRAFT Silom where you experience the 100% pure craft beers. It’s a wholehearted craft beer bar, located in between corner of Silom Road and Soi Surasak and nestled on the ground floor of Holiday Inn Silom. You will just love when you step in here. There are 20 different kinds of beer, just press the music button and all things will gear up automatically. These kinds of brands are rotating every month. In addition, they have at least 50 bottled labels from all across the world; they keep on rotating the brands for this as well. Not to worry about the meal part! The best-tasting food is the specialty here which we all are in search of. In the 1930s, are you missing the cabaret of Shanghai really? Here’s your stuff, check out the Maggie Choo’s situated at the bottom of Novotel Fenix Silom, on Silom Road. 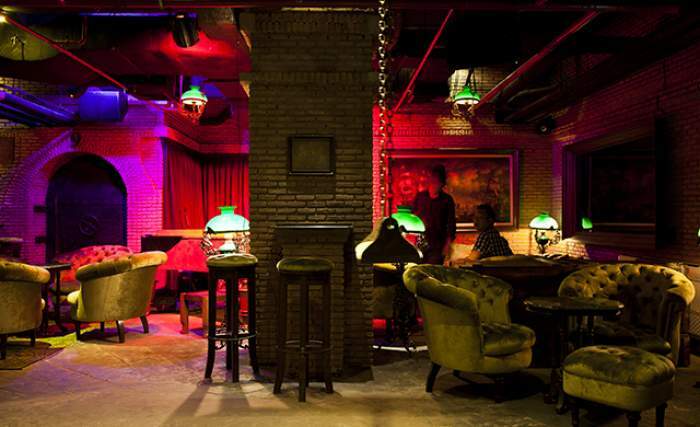 The decor is intimate, feel of retro cabaret and the concept includes the real-life cabaret girls. On the chart of the drink menu, you have a wide selection of whiskey, scotch, wine, and champagne. The music is classy. 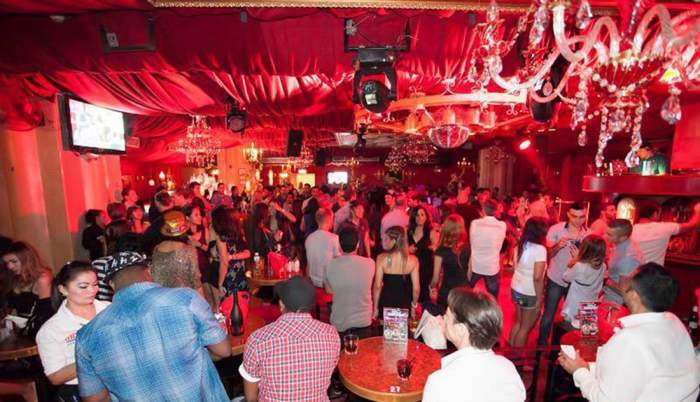 There are daily performances of live bands playing R&B, Blues, Soul and Jazz matched with the DJs spinning Deep House and Nu Disco, or Hip Hop and R&B. Just book your seats before you hang in there. Location: Novotel Fenix Silom, Basement Level, Silom Road, 10500 Bangkok. Last but the least turning Silom Upside down. If you wish to for a gastrobar, put brakes at Namsaah Bottling Trust. In 2014, the place opened its gate by a celebrated chef Ian Kittichai joined by the former Bed Supperclub, GM Justin Dunne. As the location is on the Silom Soi 7, so, you can imagine all the retro-feels once you step inside this 100 old two-story house. At the ground floor, there’s a large bar in the and to dine you have to escalate the first floor. Alongside a delicious variety of bar snacks, wines, and cocktails, explore the Asian comfort food. It’s in the list of Silom’s best nightclubs and pubs. Welcome to the famous Lantern festival of TAIWAN!